This polish is “metallic” the way most Zoya nail polishes are “metallic”, rather than the more-familiar (and more expected) China Glaze metallic finish - there's a silver sheen over the color, but they don't look as metallic as the Khromes or the Romantiques. The first coat was brighter, and a little streaky. The second coat evened things out. 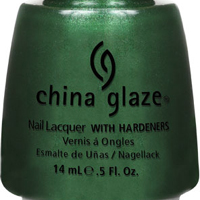 I initially thought this might be a bit too similar to Outtabounds, from China Glaze's Ski collection. 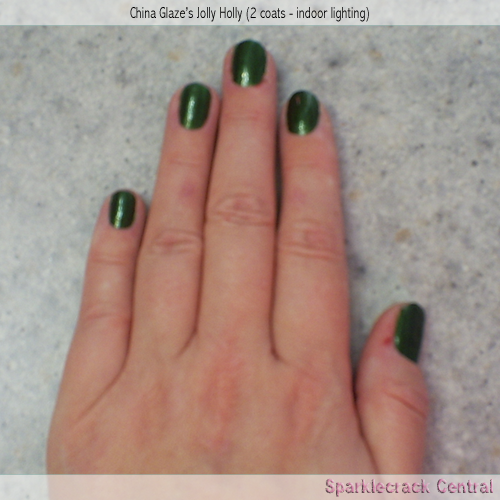 Jolly Holly is a darker green, though, and Outtabounds is more like a “traditional” metallic. 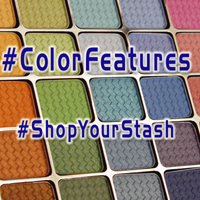 Either makes an excellent polish for nail stamping, though.